Starting a new business can be a daunting experience. There are many issues to consider, and the decisions you make now will affect future profitability, tax savings and risk associated with the business. We have extensive experience in advising new business start-ups and have helped many of them grow into successful organisations. 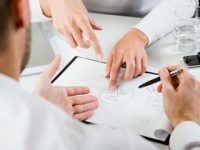 There are a number of decisions that need to be made in the early stages of planning, for example, whether to establish your business as a sole trader, partnership or limited company. At our first meeting, we will spend time getting to know you so that we fully understand your business and can offer the best advice on your business structure and strategy. That way you’ll start off on the right foot and have everything you need in place to establish and grow your business. We can help you make the right decisions from the outset.